Home / Machine for lawnmower blades! 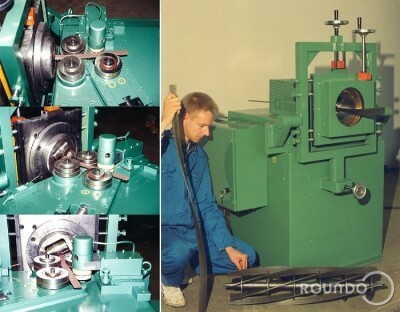 ROUNDO is the Swedish world-leading manufacturer of machines for plate rolling and profile bending. Yet, we are also specially known for our superior machines made for special purposes such as the machine in this picture! It is a ROUNDO RS-1, a custom made machine for lawnmower blades! PRH 225 and R-6 to Russia! Our company name – ROUNDO Machines AB !